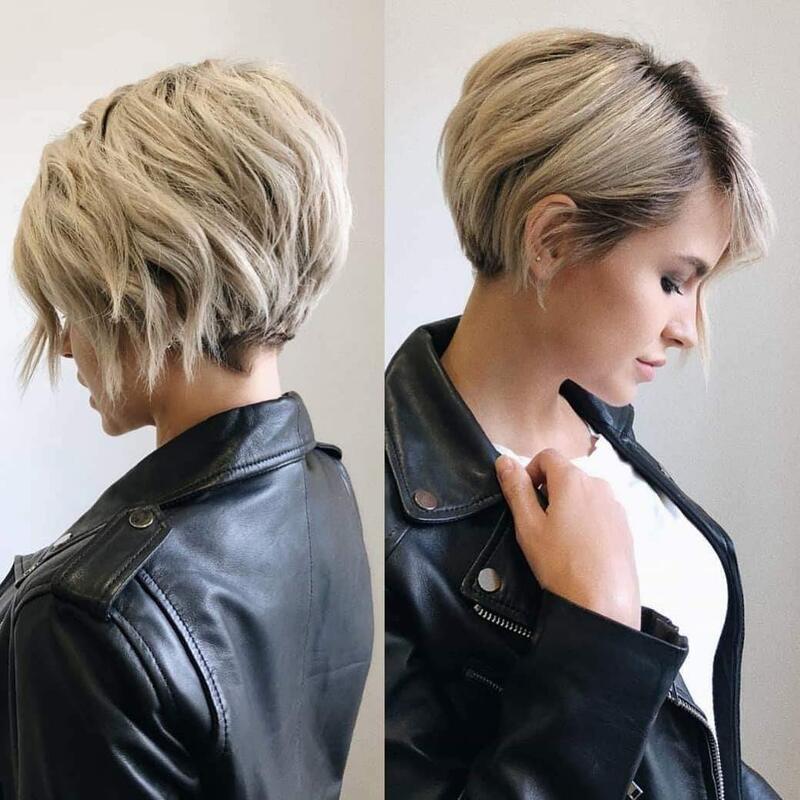 Sculpted short hairstyles for thick hair take away all the fuss and bother of caring for thick hair! 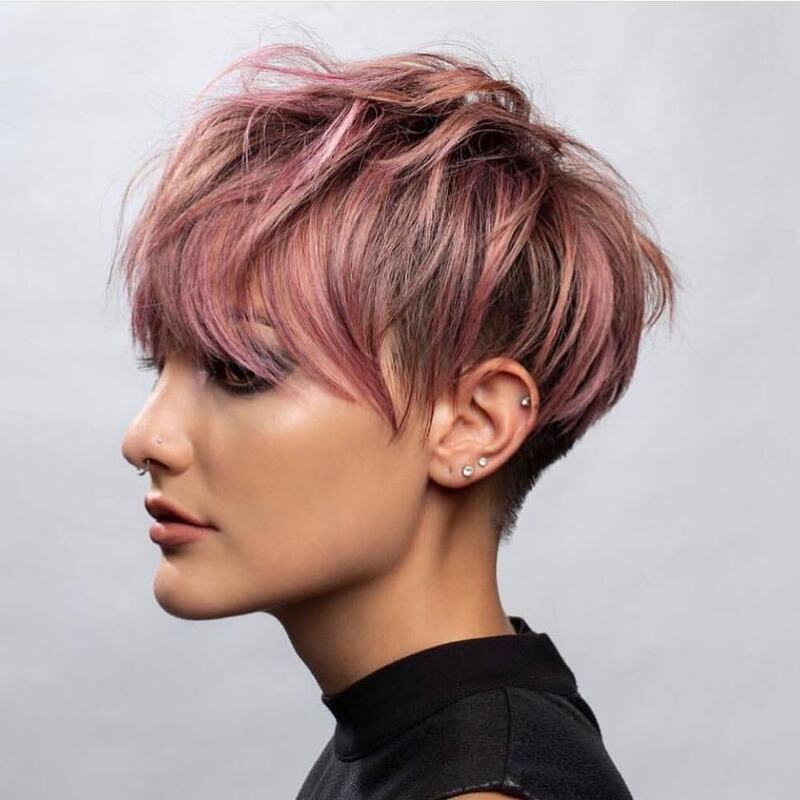 Sliced layers, choppy textures and tapered tips look fantastic on short, thick hair. And not only that, they offer some of the most stylish and face-flattering styles you can get! 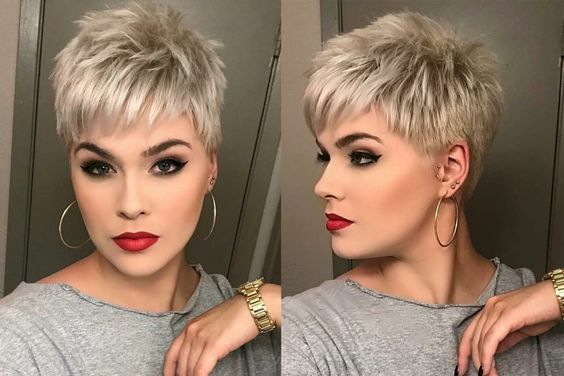 Read on to find fabulous new short hairstyles that highlight your best features! 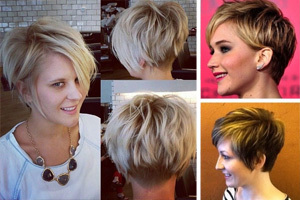 The fashion for forward-styled, short hairstyles is stronger than ever this season. 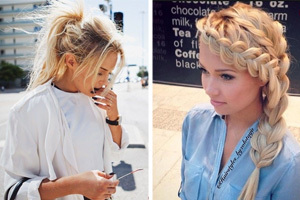 And this style can be achieved on thick or fine hair. 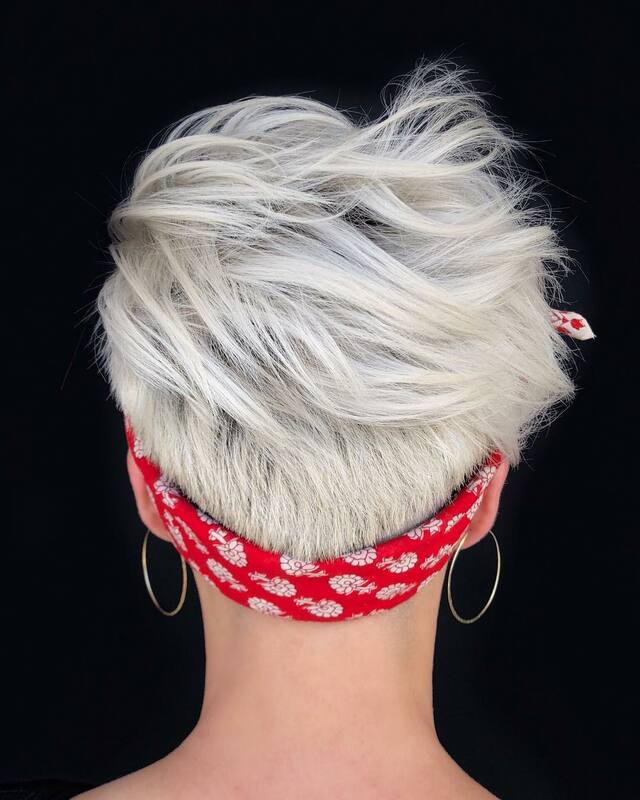 So if you need extra texture on fine hair, this bright-blonde pixie haircut over dark roots, adds amazing 3-D color depth. Long back layers, tapered into the nape, create shape around the crown and the long bangs are ‘hip’ and youthful! 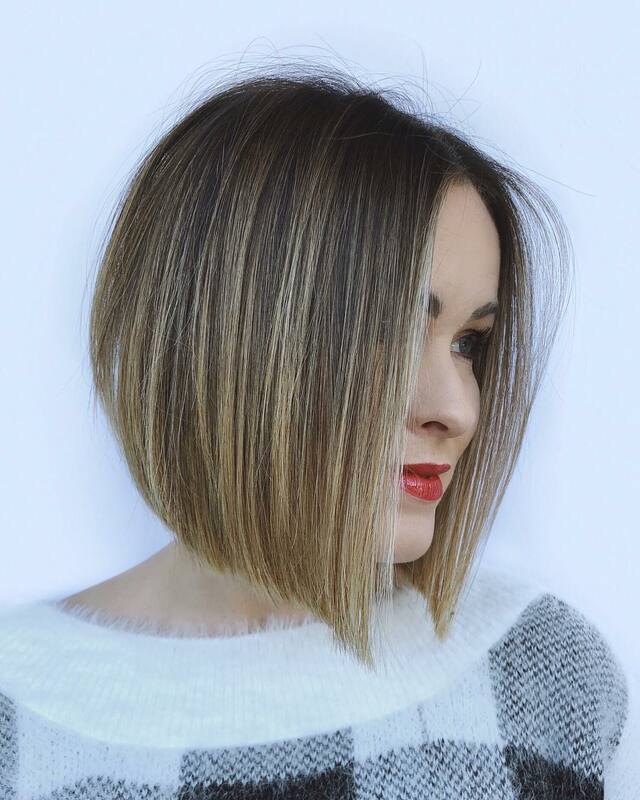 Shattered layers and uneven fringe texture add fabulous style to this stylish chin-length bob. And this is a perfect cut to match with elaborate body art, balancing out curvy or flowery tattoos with strong straight lines. The shape is achieved by razor-cutting thick hair into concave tips tapered steeply down to frame the face. Above-the-chin bobs focus on the eyes, and minimize a wide forehead. 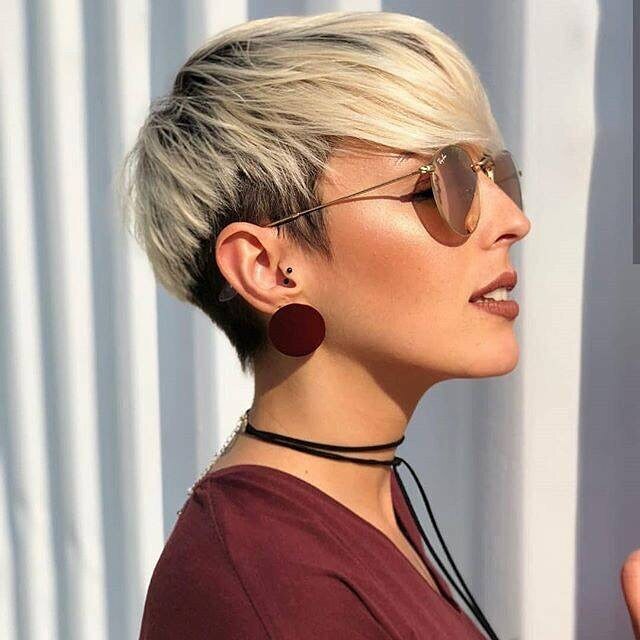 This hi-fashion long pixie cut is suitable for thick and fine hair. The basic shape is a basin cut, with long layers switching to a short-buzzed nape. Hair cut around the ears lets you show off your favorite ear-rings. And long sides soften the profile nicely. The trendy dull-pink shade has fabulous peach-blonde balayage complementing the model’s cool tan skin-tone! A sleek, bob with long layers is one of the classic styles designed especially to show-off thick hair. The long layers have expertly textured tips, which curve under naturally after washing. So this is a very easy-care, sophisticated style that gives a classy image every day. The center part flatters the symmetry of an oval face and blonde, vertical highlights add texture and movement! 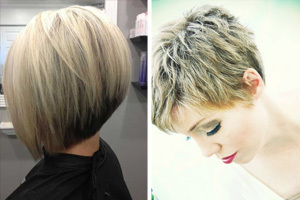 This new twist on the popular platinum-blonde, rough finished, urban pixie has ash-tones for a contemporary look! 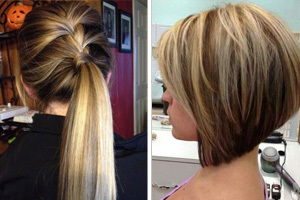 The stylist has cut the hair in long layers around the top and sides, with a tapered back shaped into the neck. The fabulous side-swept, tousled styling creates an original, high fashion finish. And adding a pretty, bandana adds even more glamor! 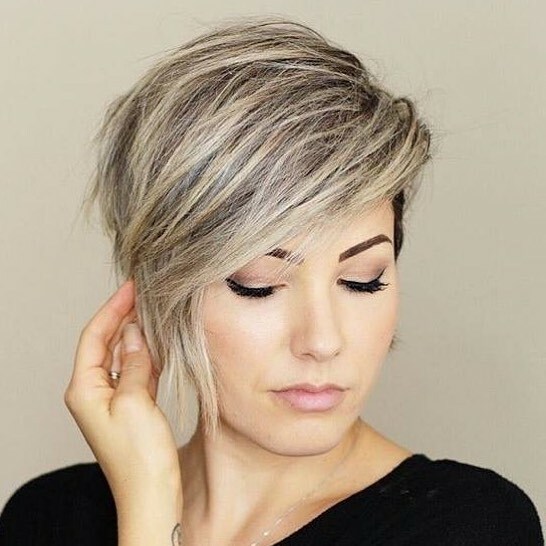 This is a lovely short pixie cut to show off a clear complexion and highlight your eyes and lips! This style suits oval, round and heart faces very well. Height on top with shaggy, defined layers is a great way to balance out a round face. And forward-styled, separated bangs soften the line in a very cute and boyish cut. Pale ash-beige blonde is a super-trendy shade, too! 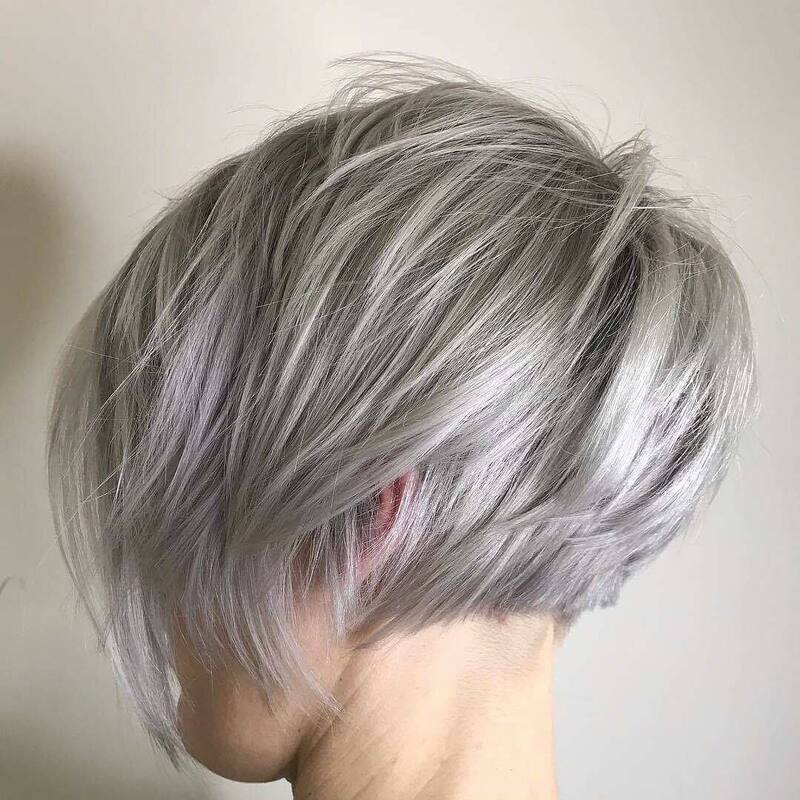 This daring, silver-gray bob is one of those versatile styles that suits all face shapes and age-groups! 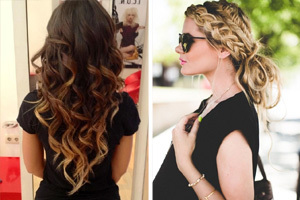 The long layers have carefully textured tips, creating flowing lines and a gorgeous shape. There’s extra volume below the crown and the stylist has cut the nape in a choppy, straight-across line – for for a super-trendy twist. Dainty lavender tips add a nice touch of femininity, too! Here’s a super new way to wear your thick hair. The asymmetrical bob has added bouffant volume creating a very flattering profile. And the sides have this season’s latest, ‘surface waves’ – flat waves arranged in overlapping sections. In ash-beige, with dark layers creating a trendy, urban look this lightly tousled bob has an attractive, casual vibe! Fancy a more sophisticated style? 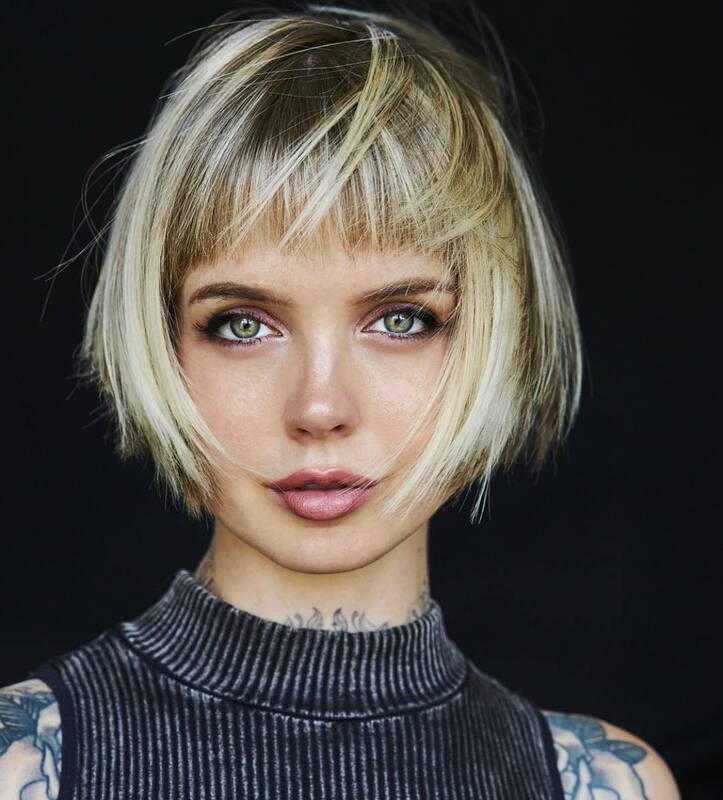 This asymmetrical bob features a lovely, sweeping fringe that’s also a great style for long, oval, round and heart faces. The diagonal line draws attention away from the length of a narrow face, cuts the ’roundness’ of chubby cheeks and covers a broad forehead. 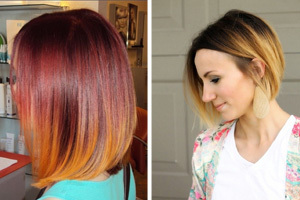 With lots of fine, blonde highlights lifting the dark, brown base this is a super new look! 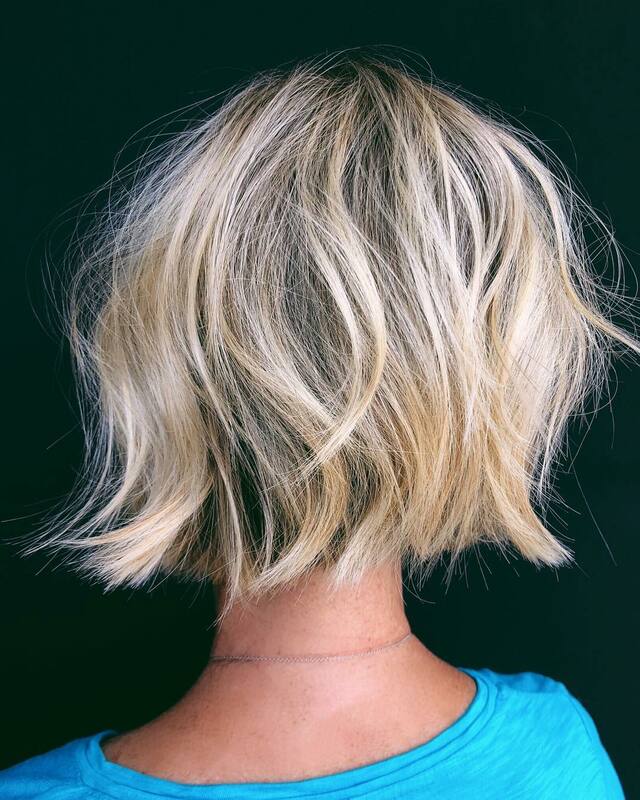 If you don’t want to go really short, this long layered bob is a fashionable new twist on a simple bob. It’s easy-care as ‘sliced’ layers sculpt the style into the hair, so it falls into place naturally, and stays looking good all day! 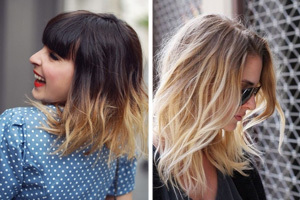 With flipped-out, tapered tips and large, fluffy waves, this tousled blonde casual look is a super-cute, youthful look! Liven up your look with a modern ash, beige or two-tone color makeover and enjoy the confidence of always looking your best!